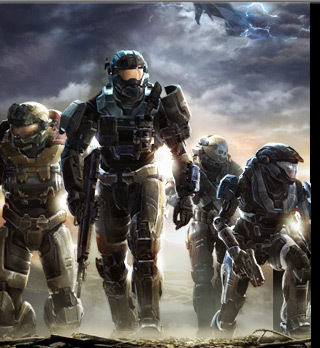 Gears of Halo - Video game reviews, news and cosplay : Pre-order Halo Reach Now! Going above and beyond is standard operating procedure for the Spartans of Noble Team. But even they weren't prepared for Operation Uppercut. With their backs against the wall they face the full might of a Covenant invasion force. Halo® Waypoint is the destination for Halo fans on Xbox LIVE®. Stay current with the latest Halo news and activities, and progress through an all-new Career path tied to in-game accomplishments across multiple Halo games. The first instalment of the exceptional Halo series, Halo® Combat Evolved takes place on a mysterious alien ring-world. Battle on foot, in vehicles, and with Alien and Human weaponry in the game that began it all. Halo Wars is a strategy game based on the legendary Halo® universe. Effortlessly command entire armies of Spartans, Warthogs and more as you join the crew of the "Spirit of Fire" to confront the alien Covenant in epic battles. The saga continues with Halo 3, the hugely anticipated third chapter in the highly successful and critically acclaimed Halo franchise. Master Chief returns to finish the fight, bringing the conflict to a dramatic, pulse- pounding climax. Go beyond the game and enter the world of Halo Legends – a sweeping science-fiction saga created in collaboration with some of Japan's leading animators. 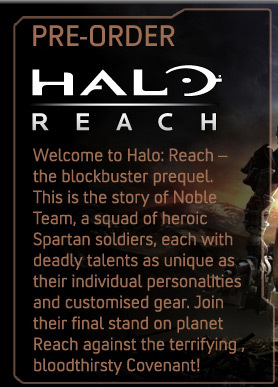 Over seven exciting stories, explore tales of Master Chief's mysterious origins, discover the Spartans' advanced combat capabilities, and observe the tense rivalry between Spartans and Orbital Drop Shock Troopers (ODSTs).